Melloy Dodge has been serving Albuquerque Santa Fe New Mexico for decades now. Our dealership is dedicated to providing customers with superior vehicles. Melloy Dodge is conveniently located in the heart of Albuquerque, New Mexico. Our dealership is just a short drive away from all major highways! If you're in the market looking for a sporty midsize SUV, your choices may have come down to two options: the 2018 Ford Explorer and the 2018 Dodge Durango. Both vehicles are great for families, towing, and their great infotainment systems. If you're having trouble deciding which vehicle to choose, this read will give you a clear insight on the which SUV is the better buy. 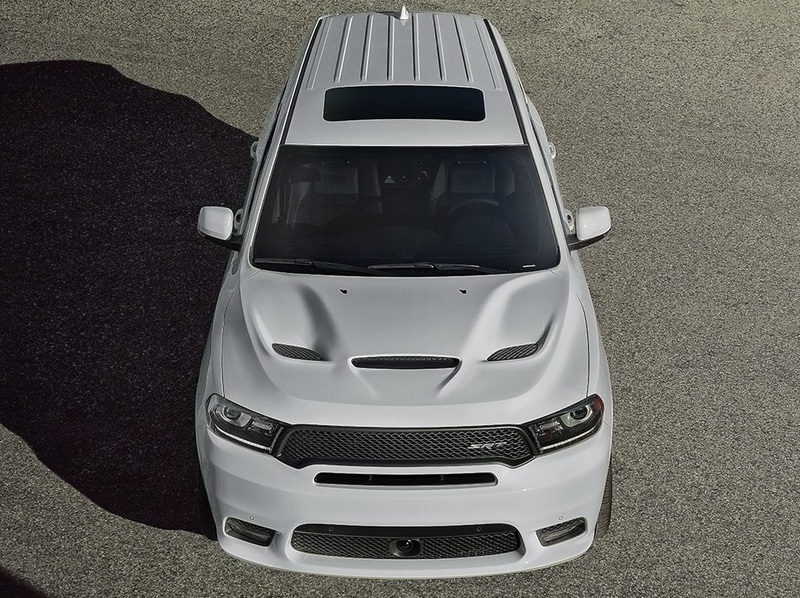 The exterior of the Durango is stylish and aggressive! The Durango is a SUV that is able to make a statement independently. The Durango has a midsized handsome grille that compliments the vehicle well. The overall style of the Durango is sporty and fashionable. The exterior of the Explorer looks similar to its older model's appearance. The Explorer's exterior appearance is modest. The grille on the Explore is smaller and fairly simple. The headlights on the Explore compliments the vehicle well, but overall the Explorer does not have a sporty appearance. 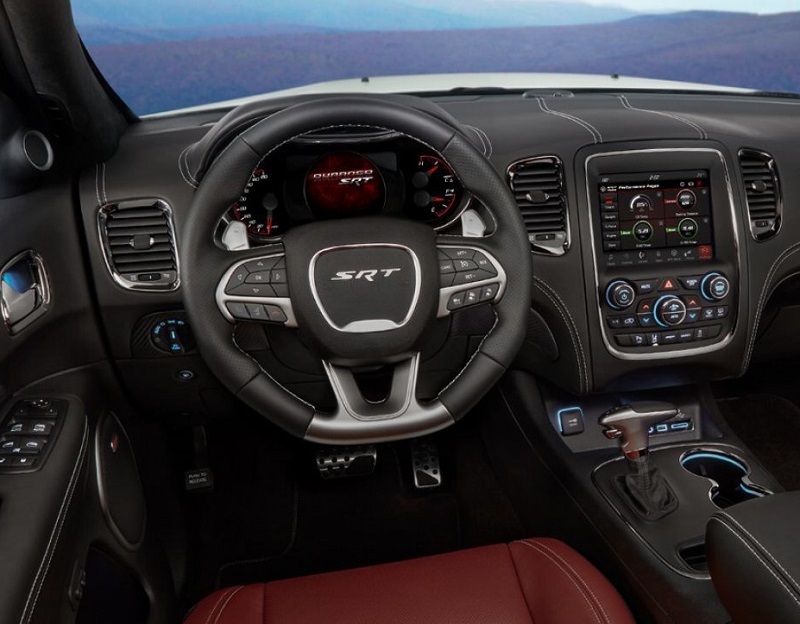 The Dodge Durango has an extraordinary interior! This midsize SUV is able to seat 7 passengers comfortably. The Durango has an above average infotainment system. Music lovers can utilize Apple CarPlay and Android Auto in the Durango at anytime. If you are tall, you would love the height that the Durango has to offer. The height of the Durango is 70.9 inches. In addition, the Durango also has a cargo volume of 84.5 cubic feet, which is notable. The interior of the Explorer can hold 7 passengers as well. However, the height of the Explorer is slightly smaller than the Durango's height. The Explorer has a height of 70 inches, which is not as tall as the Durango. If you choose the Explorer you would be settling for less head room. In addition, the Explorer does not have Android Auto or Apple CarPlay at this time. Lastly, the Explorer's cargo space is 81.7 cubic feet. The powertain on the Durango is very impressive. With the 2018 Durango, Dodge is giving customers the option to choose from two different V8 engines. The base model comes with a 3.6 liter V6 engine. However, if you'd like more horsepower you have the option to upgrade to a 6.4 liter V8 engine or a 5.7 V8 engine. This engine has the horsepower of 475 at 6,400 rpm! The Durango is able to tow up to 8,7000 pounds of equipment. 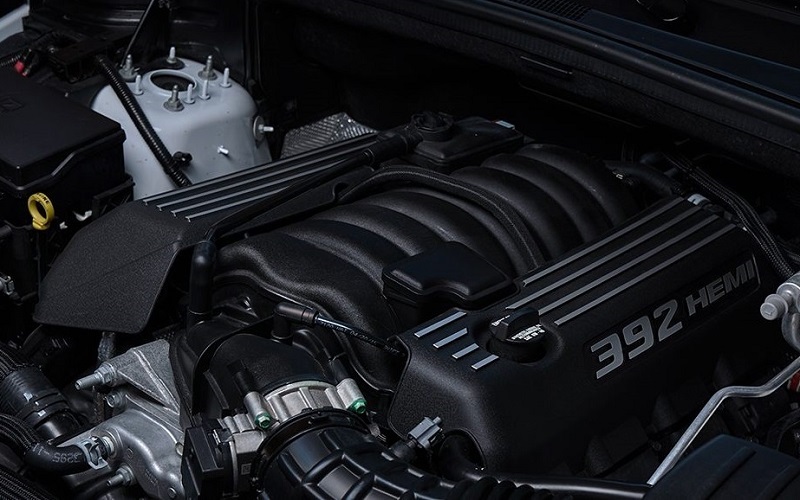 The Explorer has multiple engine options for customers to choose from; however, even the Explorer's highest engine cannot compete with the Durango's horsepower and torque abilities. The Explorer's base model comes standard with a 3.5 V6 engine. Ford customers have the option to upgrade their engine to a 3.5 liter or 2.3 liter twin turbo V6 engine. The V6 engine of the Explorer can only reach 365 at 6,500 rpm. In addition, the Explorer is only able to tow 2,000-5,000 pounds of equipment. The Durango is very budget friendly. The starting price for the Durango is $31,000. The Durango helps families save money by providing them with high end finishes at a reasonable price. The Explorer is pricier than the Durango. The starting price for the Explorer is $33,000. If you don't mind spending extra money for a standard trim vehicle, then you should consider the Explorer. However, if you are looking to get a bang for your buck, you should consider purchasing the Durango. 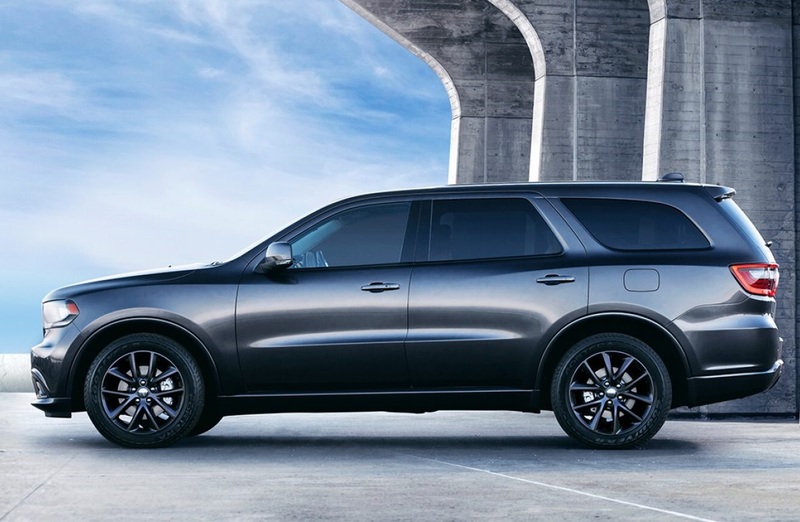 Overall, if you are looking for an affordable spacious midsize SUV, the 2019 Durango is the better buy. The Durango has a an aggressive sporty body style that the Explorer cannot compete with. The Durango's body style is slightly larger than the Ford Explorer's, leaving passengers with more head and knee room. Taller passengers will appreciate the Durango's larger size. In addition, the Durango's infotainment system is hard to resist, considering the SUV comes standard with Apple CarPlay and Android Auto. Moreover, the Durango is more affordable than the Explorer. The Durango also offers two V8 engines to its drivers, which is phenomenal. If you are interested in the 2018 Durango, come in and test drive the vehicle! We have been serving Albuquerque Santa Fe New Mexico for a long time now. Our sales associates will get you the best deal on your new 2018 Durango SUV. If you have any questions or concerns in regards to the Durango, please give us a call: (505) 843-9600. If you are in the area, you are more than welcomed to stop by: 9621 Coors Blvd NW, Albuquerque, NM 87114. Our dealership is a leader in the automotive industry. Once you visit Melloy Auto, our friendly staff members will promptly assist you!